Looking for private in-home or in-studio Flute lessons? Our Rancho Santa Fe teachers are ready to get you started. Find your teacher today! Check out some of our most popular teachers near Rancho Santa Fe, CA including San Diego, Chula Vista, Carlsbad, La Jolla and Oceanside. Can't find a teacher in Rancho Santa Fe, CA? he flute itself by helping me with harmonics. He provided new warm ups and exercises designed to help me improve in areas in which I was lacking. In time, I went on to be first chair on my high school's marching band and wind ensemble. Years later, I still have notes and exercises from our lessons and use them when I practise. 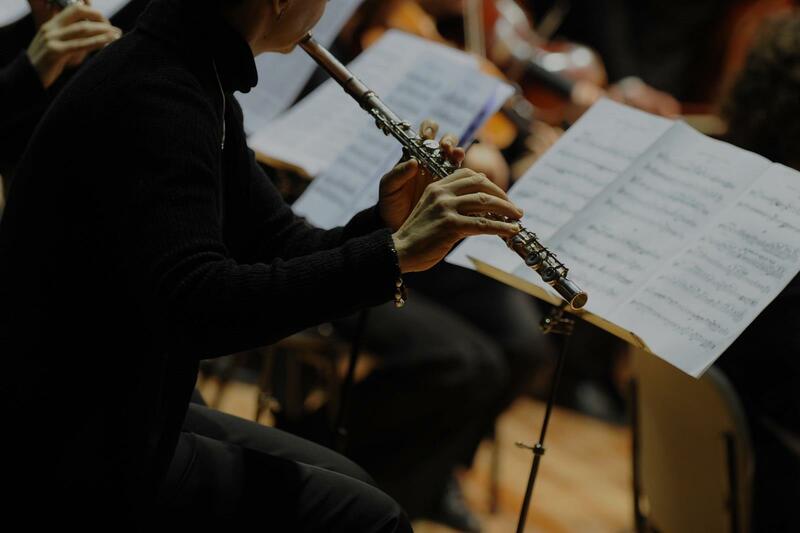 Not only do I recommend Jeremy for the excellent job he does as a flute instructor, but also because he's friendly, great to be around, and really makes you look forward to the next lesson." "Sai like the first class because Tony teached it really well." no such formal training but wanted to learn flute. She is supportive from day 1 and started to teach me the basics of music and flute. She is very calm, listens to my problems when I don't get some things easily and tries to suggest solutions. She has been very flexible in class timings and adjusts her schedule to accommodate me when I can't make it to the class on some days. I wish I get to learn a lot from her and become a good flutist." "Diane is a wonderful teacher and works so well with young children. Thank you for the quality lessons!" I sought extra help to further develop my skills and asked Jeremy for lessons. In only a few short months, I grew tremendously as a musician as he not only helped me to excel at the songs we were working on at the time, but also in music theory and how to prepare for similar pieces. These skills helped me to later become first chair flutist during my senior year and has aided me with other areas of music which I studied. He is super friendly and helpful and will definitely work with you, whatever level you are, to help you to become the best that you can be!" "I had the pleasure of taking lessons from Jeremy when I was in marching band in high school when he was a first and second year at SDSU. giving me the knowledge and exercises to improve as a player, and challenge myself with new exercises. Jeremy also made sure to create a practice schedule that I would realistically be able to do outside of lessons. After taking lessons from him, I was able to become first chair flute in my high school's wind ensemble (the highest level) as a junior, as well as excel in marching band. He is an overall passionate and dedicated teacher who creates a fun and educational learning environment. I have no doubt that he has continued to grow as an instructor as he continued his musical education. It is my pleasure to recommend Jeremy!" make a sound at all. She talked about "hating band" and how she couldn't wait until the end of the year so she could quit. Mrs. Krystmas turned all of that around in 5 lessons. Now she looks forward to going to both her lessons and band at school. She asked me sign her up for more lessons! Thanks Mrs. Krystmas!"